Monday 8 a.m. - 5:00 p.m.
Tuesday 8 a.m. - 5:00 p.m.
Wednesday 8 a.m. - 5:00 p.m.
Thursday 8 a.m. - 5:00 p.m.
Friday 8 a.m. - 12:00 p.m.
We believe that you and your family deserve quality dental care provided in a compassionate manner. Faculty Dental Practice is the area in the College of Dentistry where the dental faculty members see patients in a private practice setting. We are a quality dental facility, managed by highly qualified dental care professionals. The diversity of our dentists and the convenience of our one-stop dental practice enable us to provide optimal prevention, diagnosis and treatment of your dental condition in one location. If you require a specialist, our faculty and staff will help direct you towards the correct provider, including referrals to Pediatric (Children's) Dentistry and Oral and Maxillofacial Surgery. The faculty and staff of the UFCD Faculty Dental Practice Clinics would like to thank you for considering us for your dental health care needs. 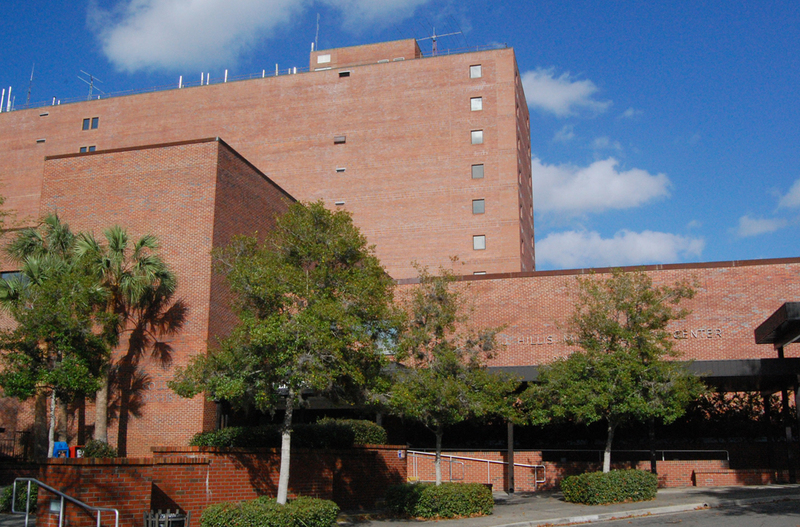 For more than 25 years, the University of Florida College of Dentistry has served the needs of thousands of patients through its Faculty Practice Group. Our philosophy is to provide excellence in service and care to our patients in a courteous, caring and professional environment. Your oral health is our chief concern. We will do everything we can to maintain your confidence and trust as we attempt to provide the highest quality care available. Faculty Dental Practice is committed to comprehensive restorative and preventive care. 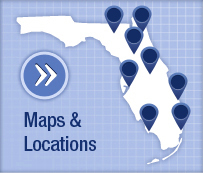 Because our dentists are full time faculty at the University of Florida College of Dentistry, they have many commitments in addition to providing oral health care to the public. It is important, therefore, that your schedule coordinates with your personal doctor, as each doctor practices a limited amount of time per week on designated days and times. 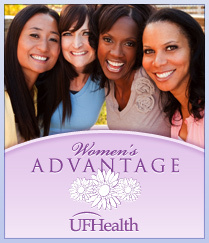 Simply call 352-273-7950 to schedule an appointment to become established as a patient in Faculty Practice. You will be scheduled with one of our highly qualified dental care professionals based on your stated concerns and dental needs and the appointment times that are most convenient for you. Your first appointment can generally be arranged within a week or two. Once a convenient appointment time is set and time permits, we will mail you a packet of information about our practice, registration forms, and a medical history health form. Please complete the forms and return by mail or bring with you to your first appointment. Our clinic is located in D1-11 on the first floor of the Dental Sciences Building, directly inside the West Entrance. Your first visit will be to meet and get acquainted with your personal dentist. This visit will be for consultation and evaluation only and will begin the process of treatment planning to outline and prioritize the dental procedures recommended to restore and maintain your optimal oral health. At your initial visit to our office, we will review your medical and dental health history, perform a blood pressure and oral cancer screening and complete a dental evaluation. If diagnostic radiographs have been taken and if time allows, we will discuss our findings and diagnosis and establish a treatment plan designed to meet your individual needs and concerns. Subsequent appointments will be scheduled for you based on the final treatment plan you and your personal dentist establish. If you require a specialist, the initial visit will vary according to your individual needs and the needs of that specialty. Can I receive no charge or reduced fee services? No. While providing the very best quality of dentistry, we strive to keep our fees fair. Our fees are structured like many private dental practices in our community. In other words, we are a full-fee practice. When treatment is rendered, we ask that you pay at the time services are provided. If you have a dental insurance plan, please ensure that we have the correct and up-to-date insurance information. While we do not accept insurance as a form of payment, we will be glad to assist you in filing your claim for reimbursement. In all cases involving the placement of a dental prosthesis (crowns, fixed bridges and removable), one-half of the total fee is expected to be paid at the time the impression is taken. For your convenience, we accept Visa, Mastercard and Discover and affordable, flexible payment options through Dental Fee Plan. Payment for services provided by specialists may vary from the above policy and should be discussed with the treating doctor. Some specialists accept Medicaid and/or Medicare. Please consult with those respective departments. During office hours, please call 352-273-7950. We will make every effort to locate and inform your personal dentist. However, due to college commitments, he or she may be unable to respond immediately. You will be seen by one of the dentists practicing that day. After office hours, please consult with the treating doctor and/or specialty group on how to receive emergency care, if needed. No. Payment is required as services are rendered. Our financial assistance counselor is available at 352-273-7958 to answer your questions and serve your financial needs. Will I be treated by dental students? No. Our dentists are the professors who train and supervise the dental students. This is the area in the College of Dentistry where the faculty treats their private patients. What is the benefit of coming to see you at your clinic? Our dentists are highly qualified and experienced faculty members. We are a multidiscipline practice, which means we have general dentists and specialists all in one practice. This makes consultation and referral among specialists more streamlined. Why does my doctor only work on one day of the week? 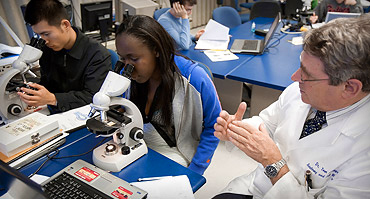 Since our dentists are the faculty who train and supervise the student dentists, the majority of their time is committed to teaching, training, and research. No. We refer patients needing extractions to Oral Surgery. To obtain a copy of your medical records from UF Health Faculty Dental Practice, please contact 352-273-7954.